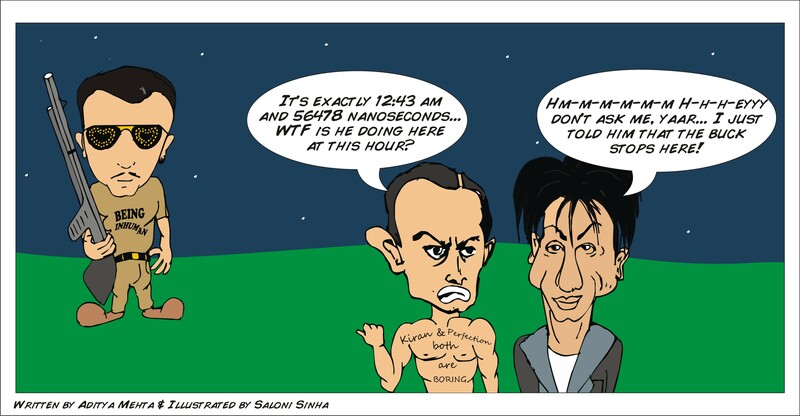 Comic Strip | Mehta Kya Kehta? Little do Metallica fans know that after the band’s smashing concert in India, vocalist/rhythm guitarist James Hetfield had a secret meeting with none other than Bollywood megastar Amitabh Bachchan in aamchi Mumbai. The ‘Tallica frontman decided that he wanted to turn into a religious nut just like Megadeth’s Dave Mustaine, and so, Hetfield went to the sets of Kaun Banega Crorepati, where the Big B advised our man Jaymz to start walking the holy path by seeing how he felt about Hinduism, Islam and Christianity. Dedicated to all the Metallibashers who couldn’t make it to the Bangalore concert after the Delhi fiasco. 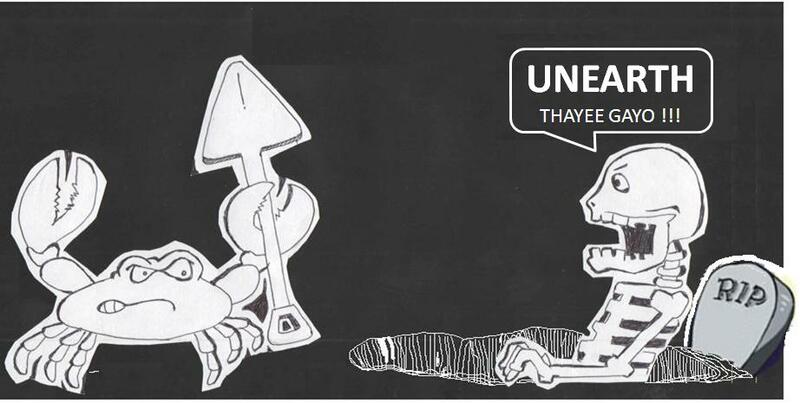 The answer to the crab + corpse contest is being published nearly six months after the announced date because that’s how long it takes Ashwin to send the illustration across. It’s Saurin Parikh’s birthday and today you can annoy him as much as you want and get away with it. On getting news about the makers of the 100 crore oceanic debacle Blue looking for a writer for the 200 crore sequel, we asked him to go for it. Instead of jumping at the offer, Saurin fled from the scene and we later caught him trying to hide behind his wife. Here’s what happened when he met the actors of Blue 2, who were curious to know how their roles were shaping up. Erm…Happy Birthday, Saurin! The true meaning of comic strip: When Aditya Mehta takes his clothes off. I have the power, I think.